"From design to construction, we will build the home of your dreams." "Our new garages will add value and beauty to your home." 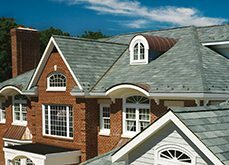 "We provide high quality roofing installation using industry leading products." T.L. 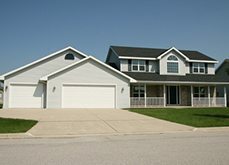 Brunette Contracting Co. is a leading general contractor and custom home builder serving Gladstone, Escanaba, Rapid River, Bark River, Cornell, Carney, Ensign, Powers and the surrounding areas of Michigan. Our design process and attention to detail ensures that you will be satisfied with the finished look, and we promise to never leave a job site until you are completely satisfied. In addition, we also provide unmatched home renovation services anywhere from flooring to fire and water restoration. 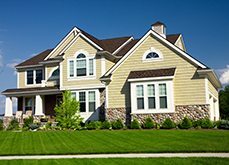 We offer year round services and competitive pricing, and our goal is to help homeowners transform their investments into more sustainable, efficient, and beautiful homes. We are a fully licensed and insured general contractor staffed with a team of industry professionals. We are committed to a standard of high quality, and provide timely services with industry leading materials from trusted manufacturers. Our reputation with our clients is very important to us, and we maintain high levels of craftsmanship and attention to detail with each project we undertake. If you are ready to get started with our company and schedule a free consultation, please contact us today.